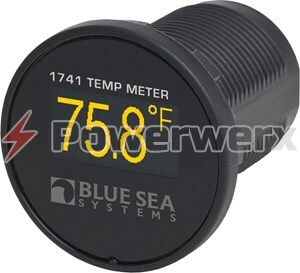 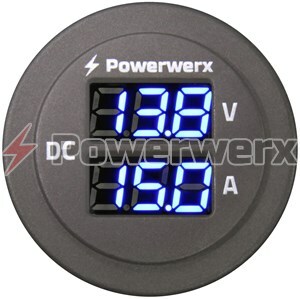 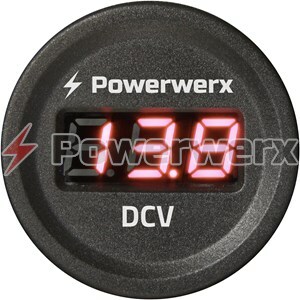 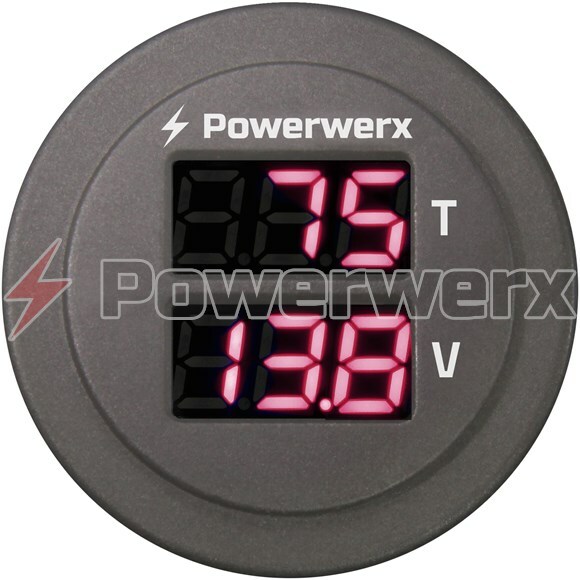 Monitor and display temperature and battery voltage simultaneously. 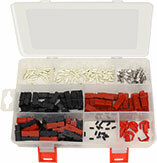 Rear mounted F2 faston tab (blade type) connections. 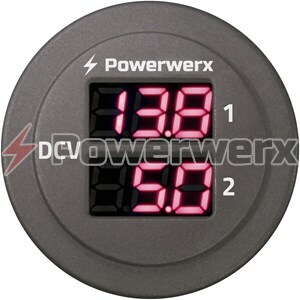 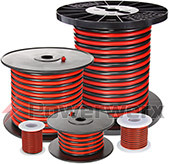 Can be mounted in Powerwerx optional PanelPod1, PanelPod2, PanelPod3 housings or standard 1-1/8" diameter hole.